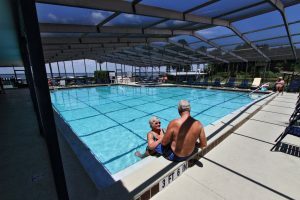 Living in a gated retirement community on one of the most beautiful waterways in Florida may seem like a pipe dream for today’s baby boomers, many of whom have experienced serious financial setbacks to their retirement plans in the wake of the Great Recession. Don’t give up on your retirement dreams, though, until you’ve explored the opportunities at Lake Griffin Harbor. Not only that, but our retirement community is conveniently located near health care and retail centers, as well as colleges and universities that offer the kind of continuing education opportunities many retirees are looking for. We’re also within easy driving distance of theme parks, nature preserves, and other attractions that provide endless entertainment possibilities. In short, when you choose to live in a safe, comfortable manufactured home in Lake Griffin Harbor, you won’t be sacrificing any of the lifestyle activities many people are looking for in a retirement community. Come see how we make an active Florida lifestyle affordable! Contact one of our Lifestyle Consultants today to arrange a tour.